I have never been to Hawaii and probably will never get there so I really enjoyed this little virtual escape. I will be back when I read book #2, Two to Mango . 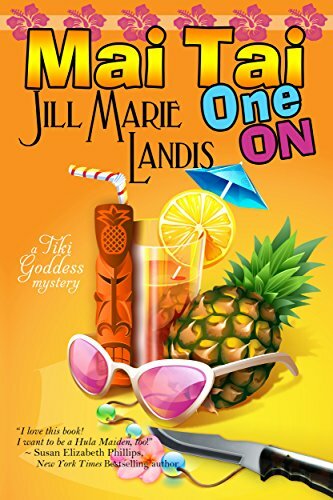 If you like your cozy mysteries to include a nice slice of humor, fix yourself a mai tai and enjoy! Find out more about Jill Marie Landis on her webpage here. so I giving that copy away! Love the title of this one, I’ve had it on my wish list.